Amazing group photos to remember the experience! 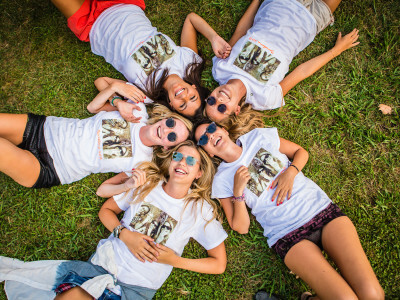 There is nothing like getting all the girls together and enjoying a once-in-a-lifetime trip! You’ll definitely have an outstanding time together, share lots of laughs and make unforgettable memories. 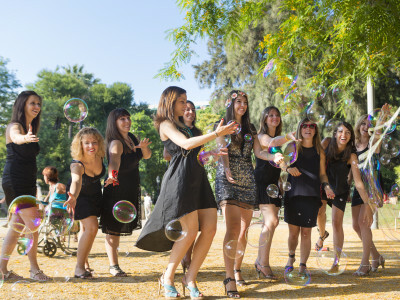 With this outdoor photo session, you can remember your incredible hen do in Barcelona forever! You will all look incredible in Barcelona’s beautiful sunshine, and this one hour photo session will take you and the girls to the most exclusive and recognisable locations around Barcelona. Our expert photographer will capture the details that make each of you special, and work on colour-correcting them. Once they are prepared, they will be sent directly to you – easy to share with the other girls and remember good times!